A lot of the Pascal GPU’s potential performance benefits revolve around VR and developer adoption of Simultaneous Multi-Projection. Unfortunately, those heady days still fit firmly in the future despite the recent launches of the Oculus Rift and HTC Vive. Granular VR benchmark tools coming from Crytek and Basemark haven’t hit the streets, and no released VR games support the GTX 1070’s new software features yet. 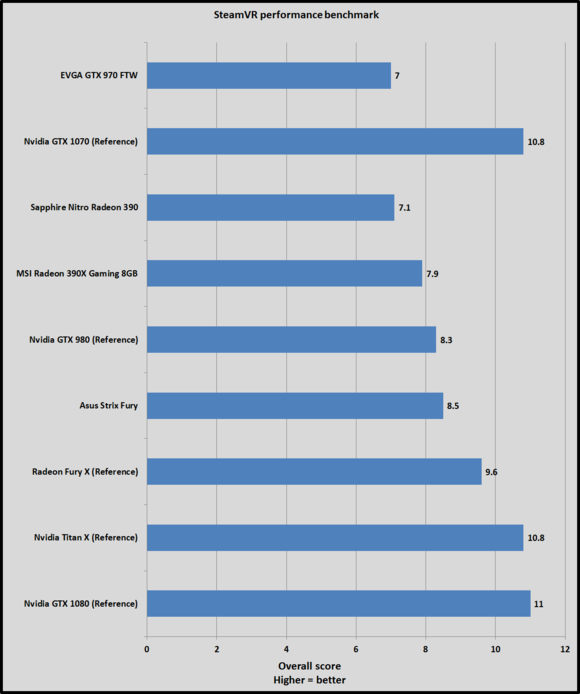 There’s no way to quantify the GTX 1070’s potential VR performance increase over the competition except for the SteamVR benchmark, which is better for determining whether your rig is capable of VR at all than direct head-to-head GPU comparisons. Alas. 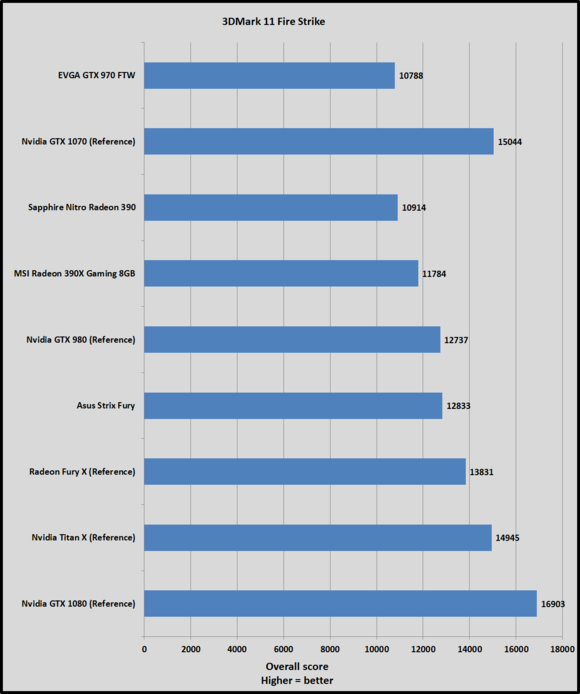 The GTX 1070 doesn’t quite crank things to 11 like the GTX 1080 does, but it still matches the Titan X’s overall score, and comes out comfortably ahead of the best AMD has to offer. 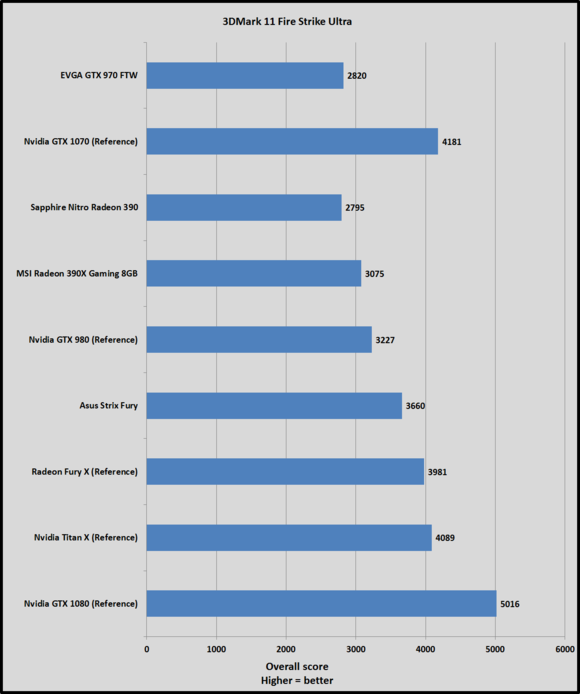 We also tested the GTX 1080 using 3DMark’s highly respected Fire Strike and Fire Strike Ultra synthetic benchmarks. Fire Strike runs at 1080p, while Fire Strike Ultra renders the same scene, but with more intense effects, at 4K resolution. We see the now-familiar pattern repeated yet again: The GTX 1070 squeaks out just ahead of the Titan X yet again.